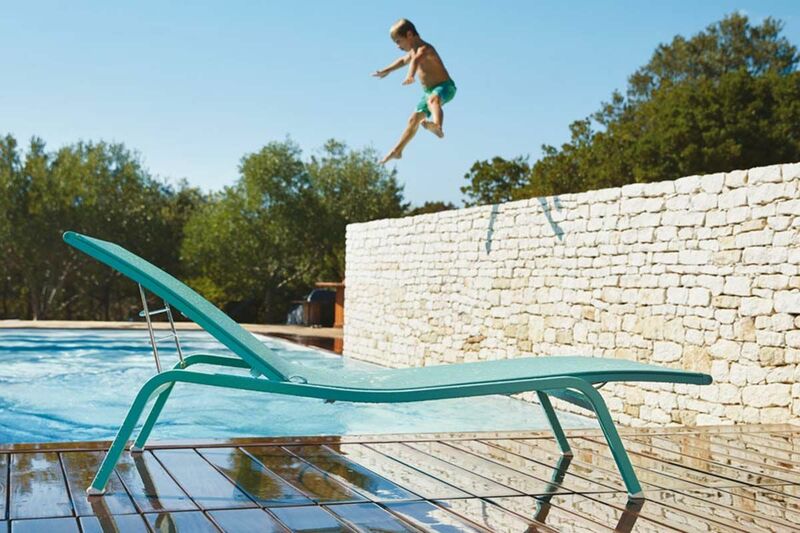 A contemporary take on the traditional sun lounge offering three adjustable back positions and two foot rest positions the Alize premium sunlounge is the ultimate pool side lounge. The fabric of the lounger is an outdoor technical fabric, making it extremely durable and resistant to weather damage. 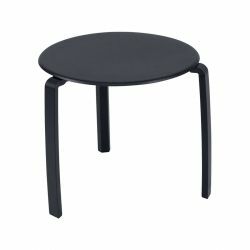 It is also extremely comfortable so the Alize can be used without a cushion or covering. 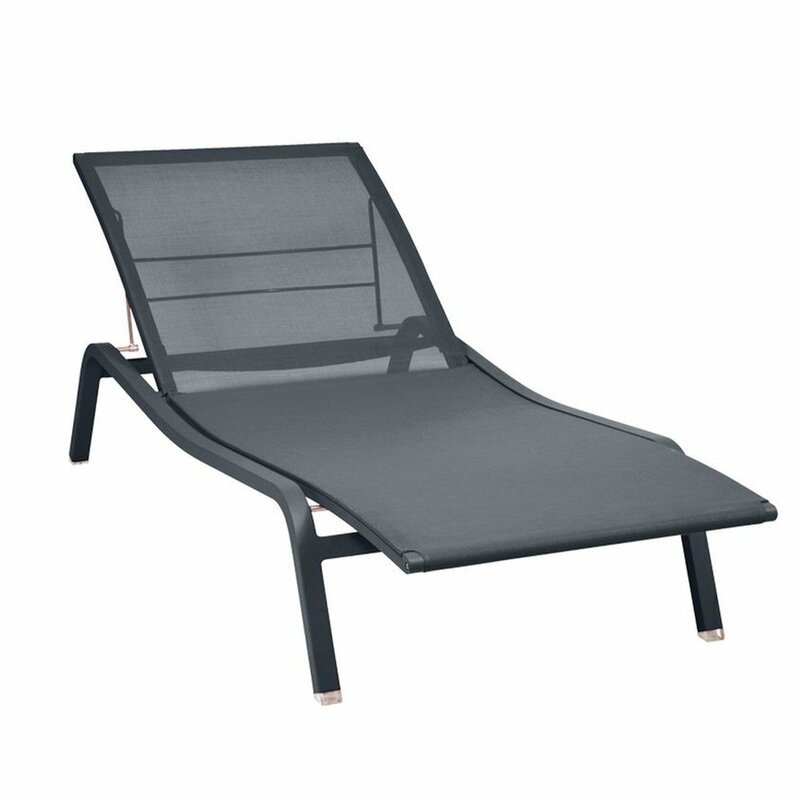 The gently curved frame and bed add a sense of lightness to the Alize, making this design a refreshing option for outdoor spaces. Aluminium profile and sheet aluminium frame. 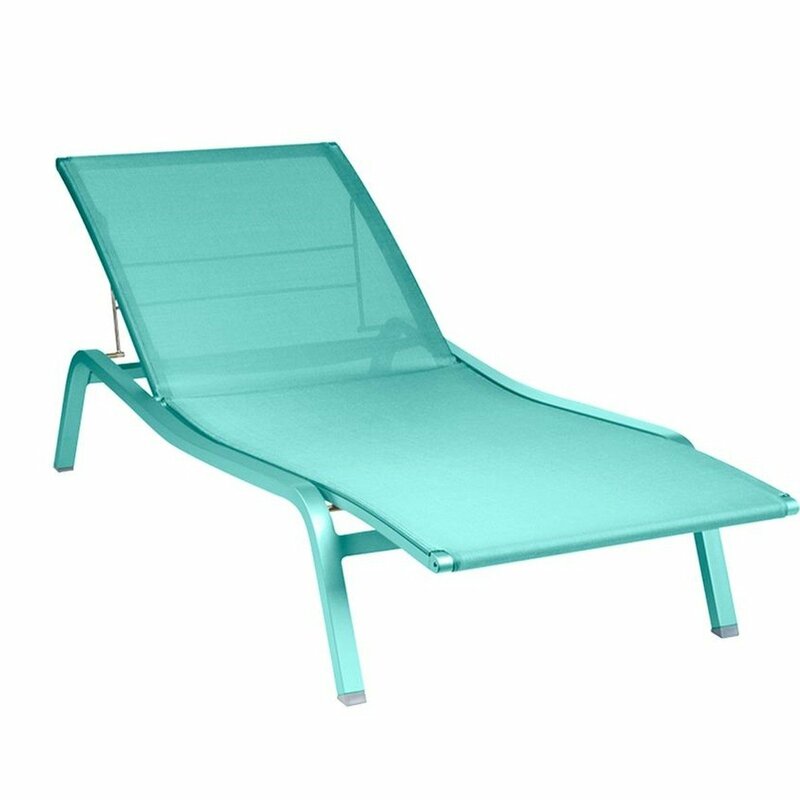 Tearproof Outdoor Technical Fabric covering (Polyester coated with PVC). 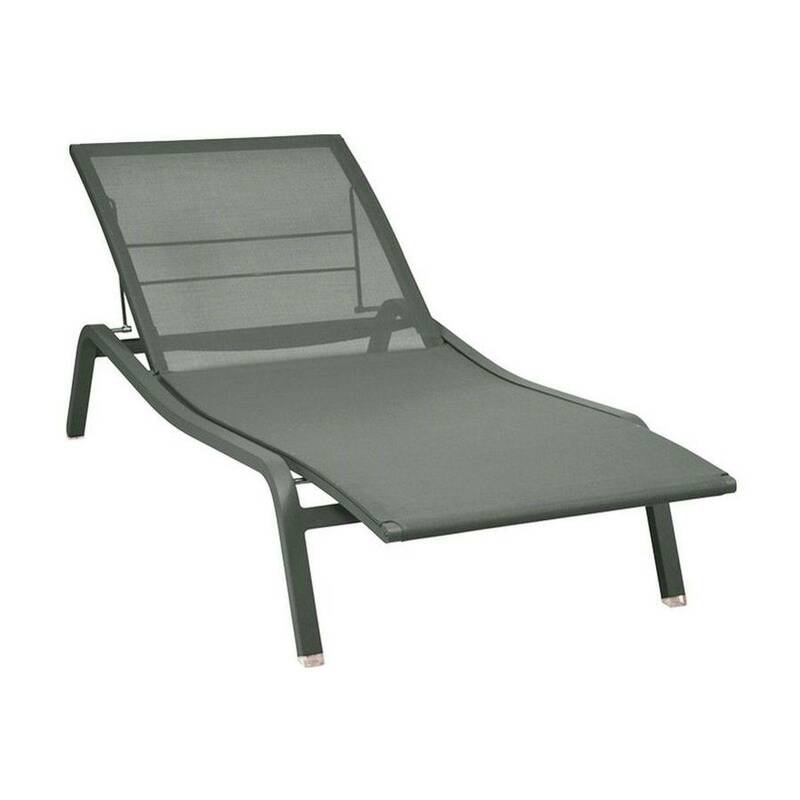 Premium sunlounge includes adjustable footrest (2 positions). 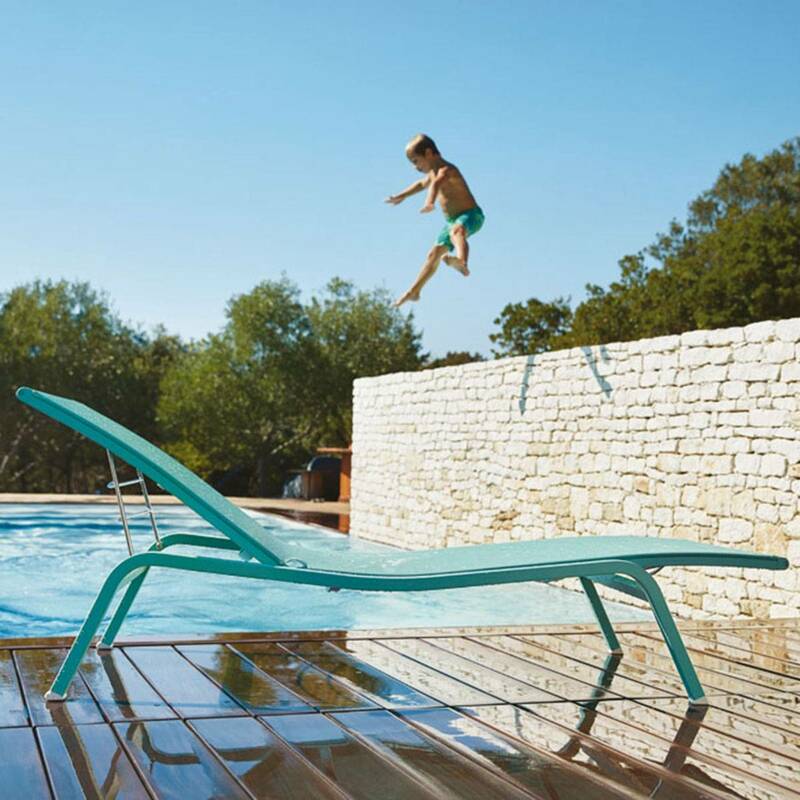 Zero gravity position and wheels included in the frame. 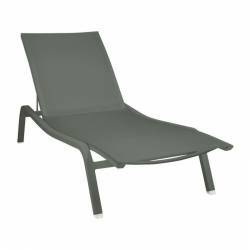 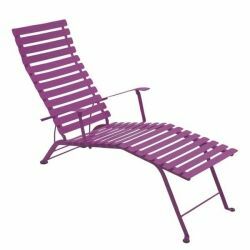 Stackable: Sunlounger x 15, Armchair and Deck Chair x 10, Low Table x 20.